We are engaged in offering high-quality Laboratory Water Bath, used in microbiology & cell culture application, our range is durable and easy to maintain. 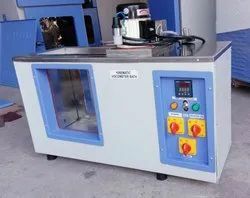 It is used to determine kinematic viscosity of bitumen and cut-backs by vacuum capillary viscometers at any specified temperature. Double walled. Inside made of Stainless Steel. Outer Chamber made of CRC / G.I. duly Powder Coated. The gap between the walls filled with glass wool. With removable toughened Glass Window Panel. We are engaged in providing our clients with Rectangular Water Bath. These hi-tech gadgets are extensively demanded for boiling and general purpose applications. We fabricate these products using long lasting single walled kettle element to ensure their durability. 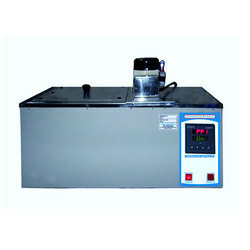 We are manufacture of rectangular, constant temperature water baths also. Its Inner chamber is made of stainless steel and outer body made of mild steel duly powder coated.